Bob Boyd Sounds is one of Arkansas' most requested jazz band with the renewal of interest in music of the Swing, Big Band Era and jazz the Bob Boyd Sounds band from Little Rock, Arkansas are having the time of their lives playing and singing songs from the thirties through the nineties.Bob Boyd Sounds band performs a variety of occasion all over Arkansas. 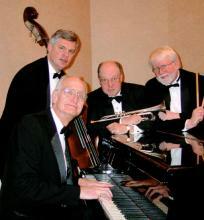 If you are planning an event and need a great diverse band Bob Boyd Sounds is the right choice for your special event. The Arkansas Harp and Flute Duo is available for weddings, receptions, banguets, parties, concerts, and other social events throughout the central Arkansas region. 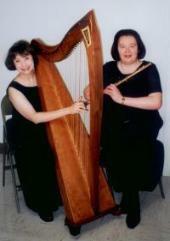 Arkansas Harp and Flute Duo consists of "Suite Elegante" Harpist and Flutist..Touring musicians with the Arkansas Arts on Tour - 2004, 2005, 2006. Whether your taste is pure jazz or easily recognizable jazz standards, Lela Bloom and the Trio provides great listening. 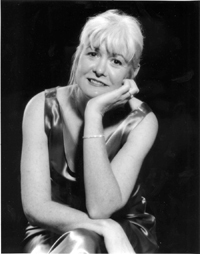 This talented vocalist and her versatile jazz trio of piano, upright bass, and drums present all your favorites in easy listening and danceable arrangements for event socials or company function and more. If you want to stroll down memory lane or have fun out on the dance floor, you need to come see the SoundSations!The SoundSations formed in 1998 and are still popular today! Playing songs from the Big Band era from the great performers of Glenn Miller, Artie Shaw, Duke Ellington and more! The SoundSations band members have played with some of the greatest bands and performers in America, such as: Roy Clark, Tom Jones, Dianne Carroll, Sha-na-na, Neil Sadaka, and Mel Torme- just to name a few! Need a wonderful String Quartet for your next event.This String Quartet in our opinion is the best in Arkansas, very professional and flexible for any occasion.The quartet leader will work closely with you to make your event a success. Jarboe String Quartet is Central Arkansas' all time favorite String Quartet. Jarboe String Quartet performs wedding ceremonies & receptions, social events and company functions. Mitchell's Big Band and Combos specialize in a wide variety of music, from ballads thru waltzes, latin, polkas, rock and, of course, the latest craze, swing. Mitchell has twice taken Big Bands to Washington, D.C., to perform at Presidential Inaugural Balls. Jack Mitchell Bands offer bands of varying sizes to fit your needs and budgets, from combos to our full 16 piece Big Band. Little Rock Entertainment Agency has provided these bands and musicians for you to view and if you need to hear someone not listed on this website we will be glad to get you a copy of the music. We currently only list a handful of entertainers, if you have someone in mind please contact us 501-396-9435 anytime. Here also is some keywords and phrases to help you locate theses bands and entertainers. Bob Boyd Sounds little rock, String Quartet Arkansas, Arkansas String Quartet, Jazz band AR, Arkansas Jazz band, Jazz Trio Little Rock, Little Rock Jazz Trio, Arkansas Jazz Combo, Jazz Duo Little Rock Arkansas, Jarboe String Quartet. We hope this will help you find the entertainment you are looking for. It is near impossible to find the right type of Arkansas Jazz Band, Swing Band or Big Band to perform in and out of Little Rock. We also provide bands all over the State of Arkansas so keep us in mind when you are planning an event!